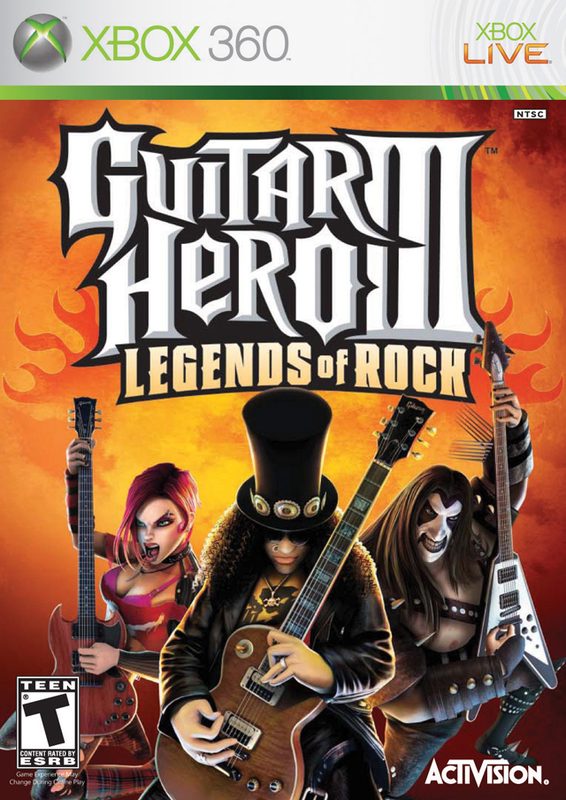 Guitar Hero III: Legends of Rock drops you into the spotlight of the largest and most legendary rock concert ever. The star-studded soundtrack includes master tracks by such legendary artists as Guns N' Roses, The Rolling Stones, Beastie Boys, Muse and Pearl Jam, with added songs as made legendary by Kiss, Alice Cooper and Heart. Face off against guitar icons in insane bosses, including Slash from Guns N' Roses, and featuring original tracks recorded exclusively for Guitar Hero III: Legends of Rock and defeat opponents to achieve legendary status in head-to-head competition.Now drop that air guitar, tune your exclusive new Les Paul Guitar Controller and shred the night away with Guitar Hero III: Legends of Rock. Got the game early, ran perfectly. 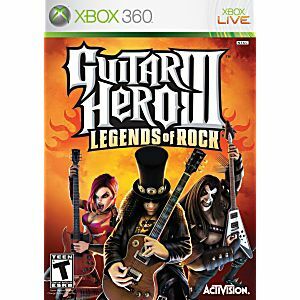 Still the best guitar hero. This Game Is Soo Fun We Stayed Up All Night Playing It As A Madder Of Fact My Girl Friend Is Still Playing It Can't Wait Till We Get Microsoft Points To Get More Songs! EPIC! ... JUST! ... EPIC! The best game i ever seen!